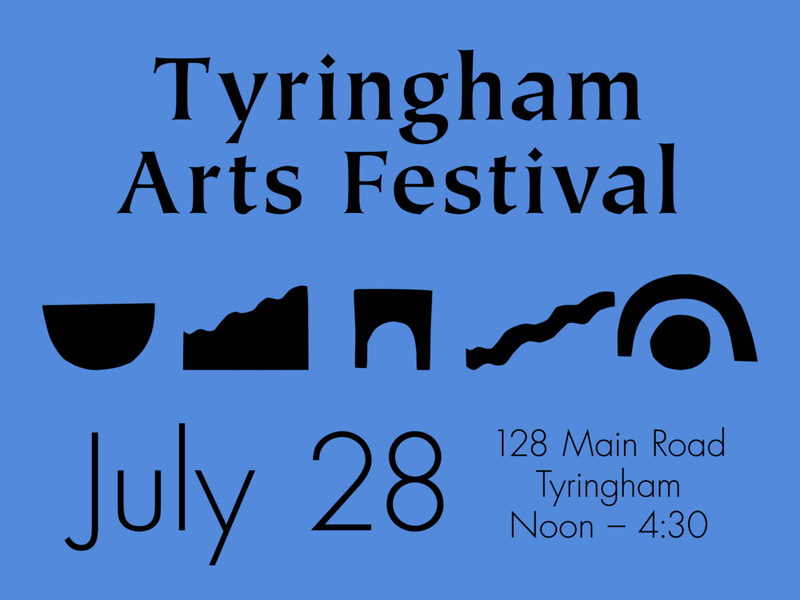 A celebration of Tyringham’s Visual, Artisanal, Musical, Literary and Performing Artists. 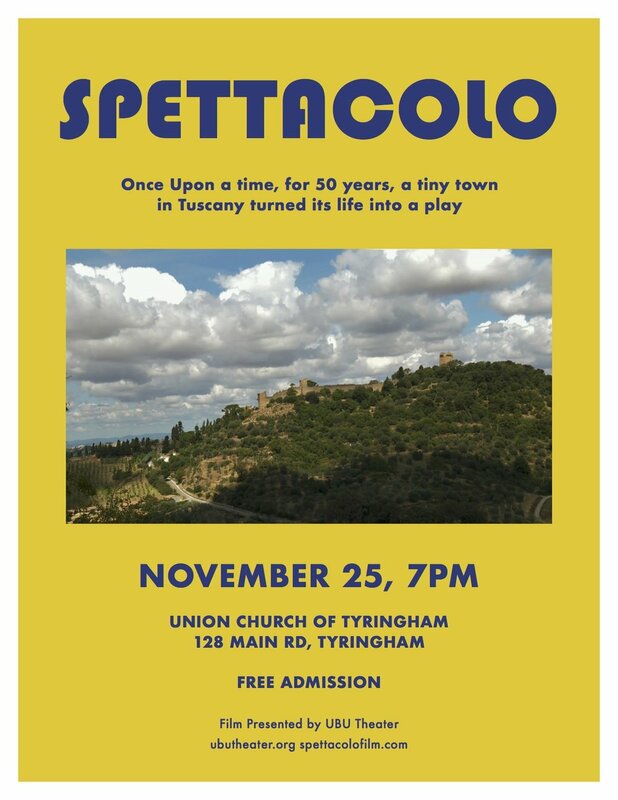 2017 Screening of the documentary, Spettacolo, a film that chronicles a tiny Tuscan village's 50 years of community-based theater, demonstrating its impact and transformative influence. A community-based theater project is one in which theater empowers, engages and celebrates a community. The Our Town Tyringham project was a site-specific, locally cast, daytime production of Thornton Wilder's Our Town. It was staged outdoors on two site-specific locations in Tyringham, MA, to which the audience moved between acts. The cast, crew and volunteers were primarily residents of Tyringham. Set in and against the bucolic valley of Tyringham, MA (full-time population 411) Wilder's Our Town was a celebration of Tyringham's people, beauty and resilience. The play explores the lives within a similarly small, quintessentially American town. Narrated by a Stage Manager the audience follows the Webb and Gibbs families as their children fall in love, marry, and eventually—in one of the most famous scenes in American theater—die.